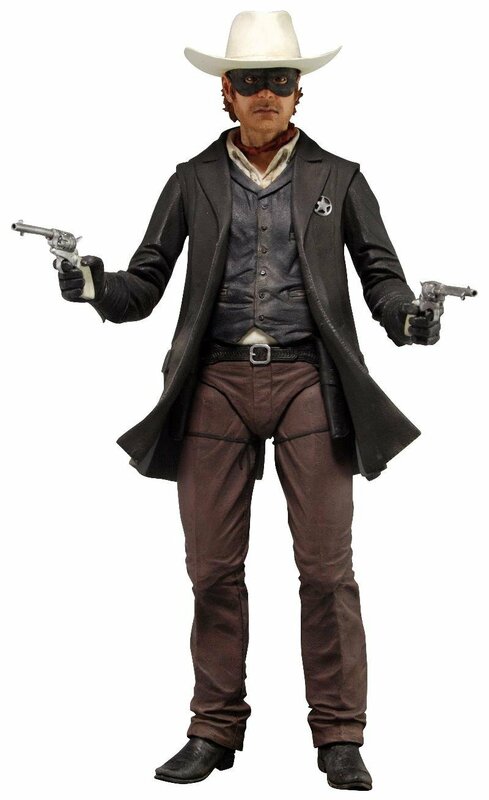 This is the NECA (National Entertainment Collectibles Association) 1:4 scale action figure of Armie Hammer’s version of the American hero John Reid from the 2013 film Lone Ranger. The John Reid aka the “Lone Ranger” action figure stands 18 inches tall and features over 20 points of articulation. Accessories include six-shooter pistols and holster accessories.